Pennsylvania’s Commonwealth Court just smacked Delaware Povertykeeper again as the latter continues to pursue its desperate anti-pipeline campaign. The Commonwealth Court issued an opinion Wednesday that dealt the Delaware Povertykeeper a/k/a Riverkeeper yet another blow to its desperate anti pipeline campaign; one intended to halt the shale revolution by preventing the transportation of the stuff to market. It’s a completely disingenuous campaign, of course, but Ms. Disingenuity knows exactly how to play to her funders and they want the revolution smashed. So, she’s using their money to finance one lawsuit after another to delay, frustrate and squelch every pipeline project that serve to move Marcellus Shale gas to New York and New Jersey where it’s needed. Petitioners, The Delaware Riverkeeper Network and Maya van Rossum, The Delaware Riverkeeper (Riverkeeper, collectively), petition for review of the Pennsylvania Environmental Hearing Board’s (EHB) October 24, 2017 Orderdenying Riverkeeper’s Petition for Leave to File Appeal Nunc Pro Tunc (Nunc Pro Tunc Petition).1 Through this Nunc Pro Tunc Petition, Riverkeeper requested permission to file what otherwise would have been an untimely challenge to Respondent Commonwealth of Pennsylvania, Department of EnvironmentalProtection’s (DEP) February 7, 2017 approval of Intervenor PennEast Pipeline Company, LLC’s (PPC) Water Quality Certification application… After careful review, we affirm the EHB. Therefore, we agree with the EHB that Riverkeeper had no legal justification for failing to file a timely appeal with the EHB. We conclude that the EHB did not abuse its discretion in finding that Riverkeeper had shown neither that they relied on the misleading February 25, 2017 DEP notice nor that they acted diligently to preserve their appellate rights. Consequently, because Riverkeeper failed to establish“good cause” to permit the filing of an appeal nunc pro tunc with the EHB, we affirmthe EHB’s October 24, 2017 Order. Maya van Rossum is the Delaware Riverkeeper, a full-time, privately funded ombudsman who is responsible for the protection of the waterways in the Delaware River Watershed. If the Maya is a “privately funded ombudsman,” just who is that made her “responsible for the protection of the waterways.” The answer, of course, is that her responsibility is to her special interest funders who want to make a wilderness playground of areas that also happen to have shale gas. That shale gas is a potential foundation for economic development that would raise property values and make it more difficult for those funders and their allies to acquire land for the wilderness. This is what is behind the legal challenge the Delaware Povertykeeper knew was going nowhere when it filed it. It was merely another delaying tactic and they’ll probably be van appeal to the Pennsylvania Supreme Court and then further appeals to Federal Court as the legal harassment of PennEast on all possible fronts in a futile attempt to prevent Marcellus Shale gas from getting out of Northeastern Pennsylvania. The more it can be delayed, the less chance the shale revolution will ever reach the Delaware River basin. It’s an act of desperation, in other words. Over the past decade, natural gas production in the Appalachian region has grown faster than capacity to move the gas into U.S. markets, pushing down local prices. 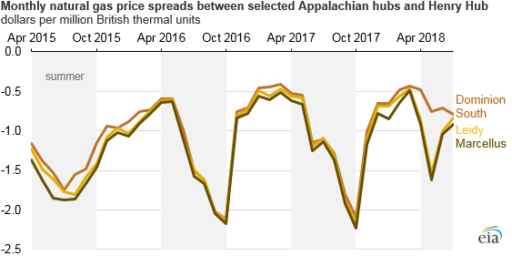 More recently, pipeline infrastructure from Appalachia has increased capacity to deliver Appalachian natural gas to regional market, increasing relative spot prices at Appalachian hubs, and narrowing their price spreads relative to the U.S. natural gas price benchmark Henry Hub in Louisiana. …Generally, this price spread widens in the summer months (April through September) and narrows in the winter months (October through March), when demand in regions with more pipeline capacity increases in the winter months. And, that’s the reason for all the challenges, lawsuits and petitions. 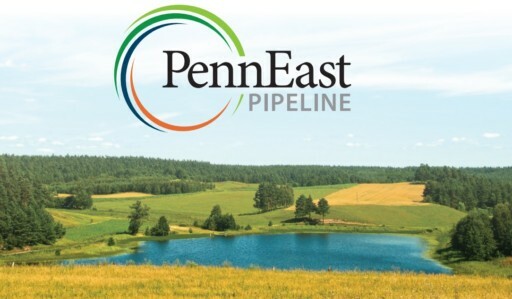 Anything that slows down pipelines such as the PennEast delays the inevitable day when Pennsylvania producers get what they deserve for their shale gas and the revolution spreads. A spreading revolution threatens the gentry class plans for making a wilderness and that’s why they keep funneling the money to the Povertykeeper organization and Ms. Disingenuity to muck up the works.